Life is too short to always be reading emails. A CEO will spend an average of 2.4 hours a day working while on vacation, according to the Harvard Business Review. And CEOs aren’t the only ones. One third of Americans work while they’re supposed to be taking time to relax. While you might think that checking your email once or twice a day when on vacation is fine, it could actually hurt your career and lead to burnout. 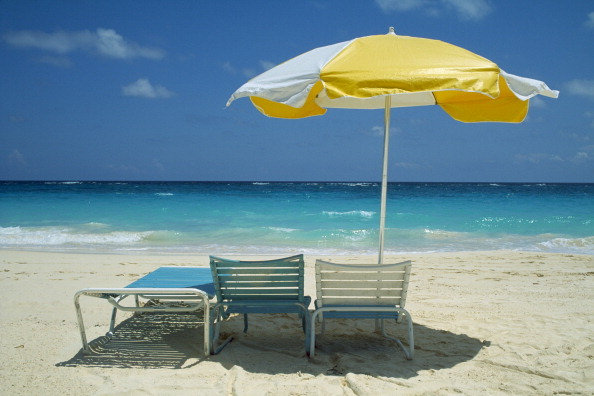 It’s time to take a real vacation and enjoy your time off for the 4th! When writing your out of office email, remember, it’s okay to take time for yourself. Most people will understand that you’re away, and they should respect your time off. Plus, most important things truly will be handled by your teammates, and it’s important to trust them. Still having trouble avoiding your work email? Try deleting your work email off your phone during vacation to eliminate any temptation to take a peek while lounging on the beach. Find a relaxing book to read instead and enjoy your time in the sun! Evans Levy is excited to be returning to Thrive Global as the Social Media Intern. She recently graduated from Colorado College where she studied Political Science, Journalism and Dance. Evans is passionate about traveling to experience new cultures.